Who wouldn’t want to come home to this! 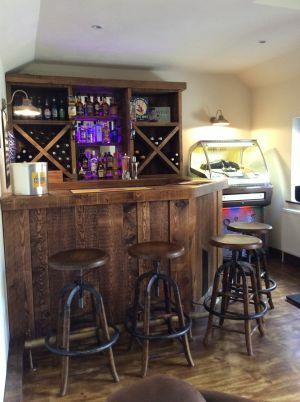 Our customers have sent us these pictures of their retro home bar and we're very jealous indeed. Probably better stocked than your local, this personal pub even has its own charming welcome sign written on a blackboard in traditional pub style. The bar also features a smaller blackboard displaying a wine list to be envious of! 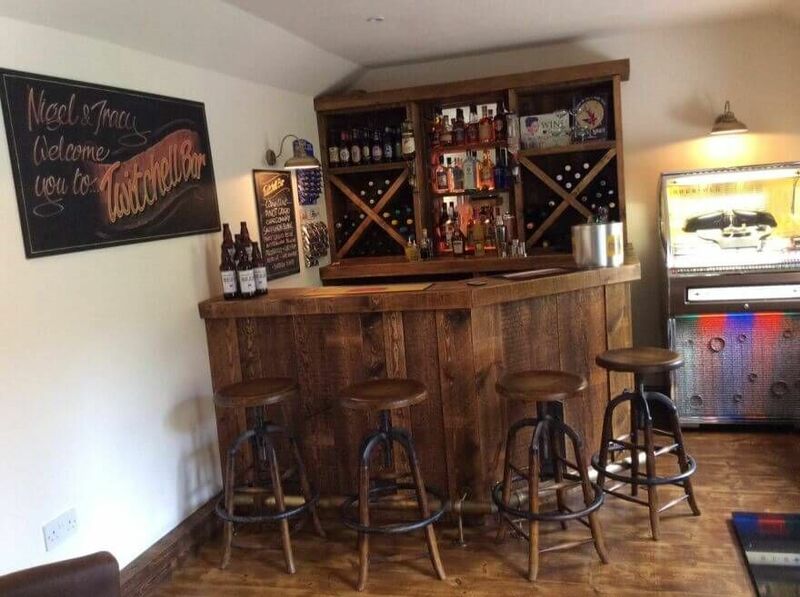 The wood-panelled bar and shelving area to the back coordinate perfectly with our 'Old English' bar stools. These stools have been designed to look like real vintage items, with plenty of rustic charm. As you can see, they lend themselves excellently to retro inspired interiors! The stool frames are made from oak and cast iron, and feature a round, comfort-enhancing footrest. Other retro memorabilia, such as the jukebox and vintage signs really pull this space together. There’s even some nuts and pork scratchings to munch on! We would love to see our furniture in your home or business! Send your photographs to aimee@peppermillinteriors.com so we can feature them in our blog. These photographs were kindly sent to us by Nigel and Tracy from Nottingham.